There is a large body of evidence that vitamin D reduces the risk of many types of cancerand improves survival after cancer diagnosis. Solar ultraviolet-B (UVB) light is the primary source of vitamin D for most people. The idea that UVB and vitamin D could reduce the risk of cancer was proposed in 1980 by the brothers Cedric and Frank Garland after seeing the map of colon cancer mortality rates in the United States and recognizing that the lowest rates were in the Southwest, which is the sunniest part of the country while the highest rates were in the Northeast, which is the least sunny part of the country. This geographical statistical correlation approach has been used to link increased solar UVB doses to reduced risk of about 15 types of cancer: bladder, breast, colon, endometrial, esophageal, gallbladder, kidney, ovarian, pancreatic, prostate, rectal, stomach, vulvar cancer, Hodgkin’s and non-Hodgkin’s lymphoma. Since these studies were based on solar UVB, additional studies are required to show that production of vitamin D provides the link between UVB light and cancer risk reduction. Observational studies, in which vitamin D levels for those who develop cancer are compared to those who do not, have provided strong evidence for vitamin D reducing the risk of breast, colon, pancreatic, and rectal cancer. Observational studies for breast cancer show that risk is highest for levels below 15 ng/ml and lowest above 30-40 ng/ml. For comparison, African-Americans have an average of 16 ng/ml while white-Americans have an average of 26 ng/ml. There is also increasing evidence that higher vitamin D levels at time of cancer diagnosis are associated with better survival rates. The cancers for which this has been reported include breast, colon, lung, prostate, rectal cancer, lymphoma, and Hodgkin’s lymphoma. For colon and rectal cancer, those with higher vitamin D levels had twice the survival rate as those with low vitamin D levels. So, what can the individual do to reduce the risk of cancer with sunlight and vitamin D? The most efficient way to increase vitamin D level is through taking vitamin D3 and calcium supplements. In the absence of testing, taking 1000-4000 IU/day vitamin D3 plus about 500 mg/day calcium and 250 mg/day magnesium is recommended. Since different people reach different vitamin D levels for the same vitamin D intake, measuring vitamin D levels before and after starting to take vitamin D supplements can be used to adjust the intake. Tests can be ordered through one’s physician or through two websites. GrassRootsHealth.net and VitaminDCouncil.orgoffer test kits from ZRT Laboratory that include a lance for pricking the finger and a piece of paper for two blood spots. The cost is about $70. The test is very accurate as I determined by comparing test results with those from two national testing companies. 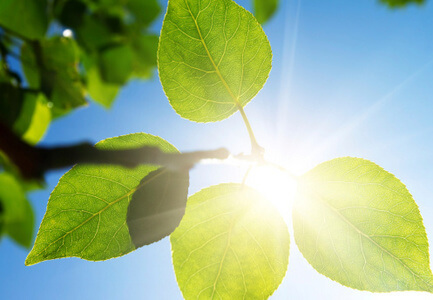 Both organizations also have large amounts of information on vitamin D.
Solar UVB is the primary source of vitamin D for most people, so exposing as much of the body as possible when the sun is high in the sky for an amount of time less than it takes to have any signs of burning (pinkness) daily is worthwhile. However, in the northern parts of the United States, it is not possible to make any vitamin D from sunlight during the four-to-five darkest months of the year. The fears about skin cancer and melanoma are largely overblown, so the sun should not be feared. Additional information about the health benefits of vitamin D can be found at vitamindwiki.com and pubmed.gov. William B. 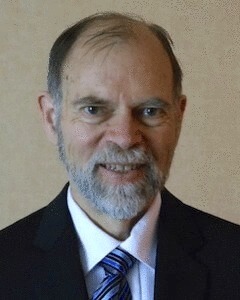 Grant has Ph.D. in physics from the University of California, Berkeley. He retired from NASA in 2004 to work on health studies full time, forming the non-profit organization Sunlight, Nutrition and Health Research Center.